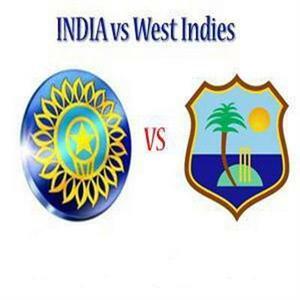 This article is about the stats and review regarding the 3 match Test series between India and West Indies held in India. Both batsman and bowlers performed very well in this series. Here is given the list of leading run scorer and leading wicket taker of the series. Who is the winner o the series and who is the man of the series? In the three match Test series between India and West Indies, where India won by 2-0, we have seen many good performance by both batsman and bowlers. In this series where India dominant completely, West Indies batsman Darren Bravo is the top run-getter and Indian spinner Ravichandran Ashwin is the top wicket taker. West Indies batsman Darren Bravo is leading the run chart with 404 runs followed by Rahul Dravid (319 runs) and VVS Laxman (298 runs). In bowling, indian spinners Ashwin and Ojha dominanted the series. Ashwin is leading the chart with 22 wickets in 3 Matches, which is also his debut series. He was followed by Pragyan Ojha (20 wickets) and Umesh Yadav (9 wickets). Yadav played in only 2 matches. From West Indies the leading wicket-taker in the series is captain Darren Sammy who took total of 9 wickets.